When was the last time you read a stock report that included a discussion of the company's culture? I bet it's been a while. Perhaps part of the reason for this is that investors as a group prefer to focus on the quantifiable factors that can be entered into our spreadsheets - earnings, free cash flow, return on equity, etc.. More qualitative factors like culture are often unfairly dismissed as fluff. Another reason could be that when we hear the term we associate it with the dull and lifeless, Office Space definition of "corporate culture." Whatever the reasons why we tend to overlook corporate culture in our research process, we're doing ourselves a disservice by ignoring it. That's because, when a vibrant and authentic culture complements a company's durable competitive advantages, it can yield great results for shareholders. An example of a company with a great culture in my own portfolio is U.K.-based insurer, Admiral Group (ADM.L), which prides itself on being a low-cost operator. Indeed, in 2013, its U.K. business's expense ratio of 15% was about half the market average. It's true that there are other, more operational factors that anchor the company's low-cost advantage, but Admiral's culture also strengthens it in a number of ways. For one, Admiral is frequently voted one of the top employers in the U.K. and in other markets in which it operates. By making it a fun place to work, the company attracts top talent and keeps costly employee turnover well below its competitors' attrition rates. Further, each employee - regardless of pay grade - has received £3,000 of free shares each year since the company went public in 2004. All else equal, employee-owners of the business should care more about cutting expenses than employees who only collect a paycheck. No one washes the rental car, after all. 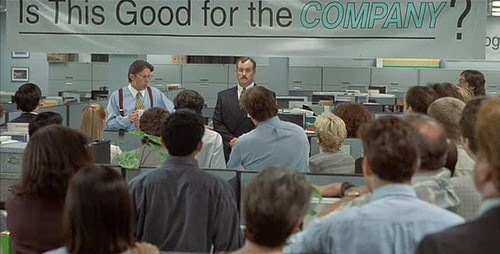 One of my favorite anecdotes about Admiral's low-cost culture is that when it opened its first U.S. office in 2009, employees were required to do a push-up in view of the CEO's desk whenever they used the printer so as to keep paper costs to a minimum and encourage employees to first consider cheaper alternatives. If we are delighting customers, eliminating unnecessary costs and improving our products and services, we gain strength...On a daily basis, the effects of our actions are imperceptible; cumulatively, though, their consequences are enormous. When our long-term competitive position improves as a result of these almost unnoticeable actions, we describe the phenomenon as "widening the moat." Culture matters precisely because it enables these small actions and can thus have a tremendous impact on a company's competitive position. Companies like Costco, Whole Foods, and Southwest Airlines have leveraged their unique corporate cultures to stand apart and build brand loyalty in highly competitive industries. Suffice it to say that patient investors have also done quite well with these companies. As long-term, business-focused investors ourselves, it's well worth our time to consider culture as part of our regular research process and how it may contribute to - or, in cases of a poor culture, even detract from - the company's ability to create shareholder value for years to come. Earlier this week, a friend asked me what I thought could end this bull market. I searched for a smart answer and concluded that it was the one that investors haven't fully considered yet. Recalling my experience from the financial crisis, I said that it's always the punch you didn't see coming that knocks you out. Fearing this answer might be unsatisfactory, I floated a guess that there could be unforeseen consequences of falling oil prices. There -- an answer more befitting an industry veteran. The fact is, we have no idea what specific event or events will end this bull market, though it'll be obvious in hindsight, of course. Maybe someone will guess right, make leveraged bets on their thesis, make millions or billions and write a book about it, but for every one of those guys, there are legions who guessed wrong and are far worse off. As long-term, business-focused investors, we shouldn't care much about what causes the next bear market. To borrow a phrase from Peter Lynch about macroeconomics, if you spend 13 minutes thinking about this, you've wasted 10 minutes. If anything, you're more likely to stress yourself out and make emotional trades in a quixotic mission to avoid your envisioned losses. Rather than scramble to reposition your portfolio for the next bear market, we're much better off focusing on the things we can control. For one, look to learn more about the businesses we already own and the ones in which we've taken an interest. 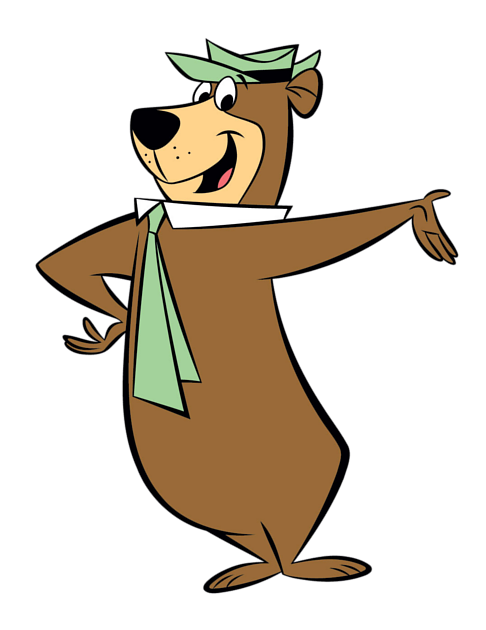 How might a bear market impact management's current strategy? If the current management team was in place during the financial crisis, how did they handle that challenge? Were they honest in their evaluation of the marketplace or did they try to put on a good face? Does management have a track record of making opportunistic acquisitions and investments (buybacks, etc.) in down markets? Is the company's balance sheet prepared to handle a few lean years? Is the dividend well covered by both earnings and free cash flow? By asking ourselves these types of questions now while the market is still strong, we'll be better prepared for when Mr. Market grows despondent again and offers us opportunities to invest in quality businesses at attractive prices. Indeed, it's only when Mr. Market makes such offers that we're able to sow the seeds of long-term market outperformance. 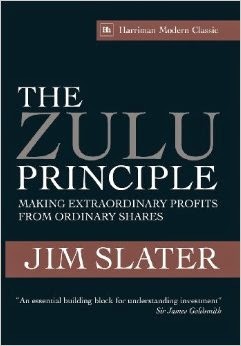 When I was working in London a few years ago, I would often hear about a well-regarded investing book called The Zulu Principle by Jim Slater. As an American investor, I'd never come across the book and was curious to figure out what it was all about. Above all else, the "Zulu Principle" is about focusing as an investor. Indeed, the name itself came to Slater after his wife read a four page article on the Zulu tribe in Readers Digest and he concluded that, from that short article alone, his wife knew much more than he did about the Zulus. Taking it a step further, he reckoned that if she then went to the library and read more about the Zulus, she'd probably know more than anyone in town. If she lived in South Africa to study the Zulus for six months, she'd know more than anyone else in Britain. In other words, by focusing on a niche, one can more easily become a leading expert on the subject than if they tried to understand everything. This is consistent with Buffett's advice to only invest in companies within your circle of competence. While Slater discusses a number of investing approaches in the book, he believes that individual investors should spend most of their time researching smaller companies where there are fewer institutional investors to compete with and where an information edge is more likely to be obtained. One of the things I particularly like about Slater's approach is that his investing process is simple, consistent, and repeatable. Here are some of the criteria that he looks for in a new investment. The first five he considers mandatory while the latter six he considers to be added "protection." A positive growth rate in earnings per share in at least four of the last five years. A low price/earnings ratio relative to its growth rate. Look for a PEG ratio under 0.75, ideally under 0.66. An optimistic chairman's statement. If management's commentary about the coming year is negative or cautious, don't buy. Strong liquidity, low borrowings and high cash flow. Something new. Does the company have a new product or service that the market may not fully appreciate yet? A small market capitalization. Are large investors overlooking or unable to buy this stock? High relative strength of the shares. Only buy a growth stock within 15% of its 52-week high. A more than nominal dividend yield. Management should have a significant shareholding. That's a pretty good list if you're looking to invest in smaller growth companies. Of these 11 criteria, the most difficult to be consistently right on is #2. Slater recommends using broker forecasts (which may themselves be biased) to determine the "G" in the PEG ratio, but with smaller companies that have less analyst coverage, you'll need to do more of the work yourself. If starting from scratch, I'd calculate the company's "sustainable growth rate" (discussed here) to determine what growth rate the company is capable of achieving. Also read through conference call transcripts and any investor presentations to see if management has an earnings growth target. Slater also recommends a focused portfolio of 10-12 stocks with a maximum 15% invested in any one stock. By owning fewer stocks, it stands to reason that you'll become more expert in those companies than others in the market. While U.S. investors may struggle with some of the U.K.-focused terminology and some dated company examples in the book, The Zulu Principle is definitely worth a read. I've added it to my recommended reading list. "Investment is essentially the arbitrage of ignorance." "Do not go bottom-fishing - you can drown that way." "If you are intent upon turning a stampede, you have to wait until the cattle are tiring; otherwise you can be trampled underfoot." Hard to believe, but this is the 100th Clear Eyes Investing post. Thank you very much for reading!